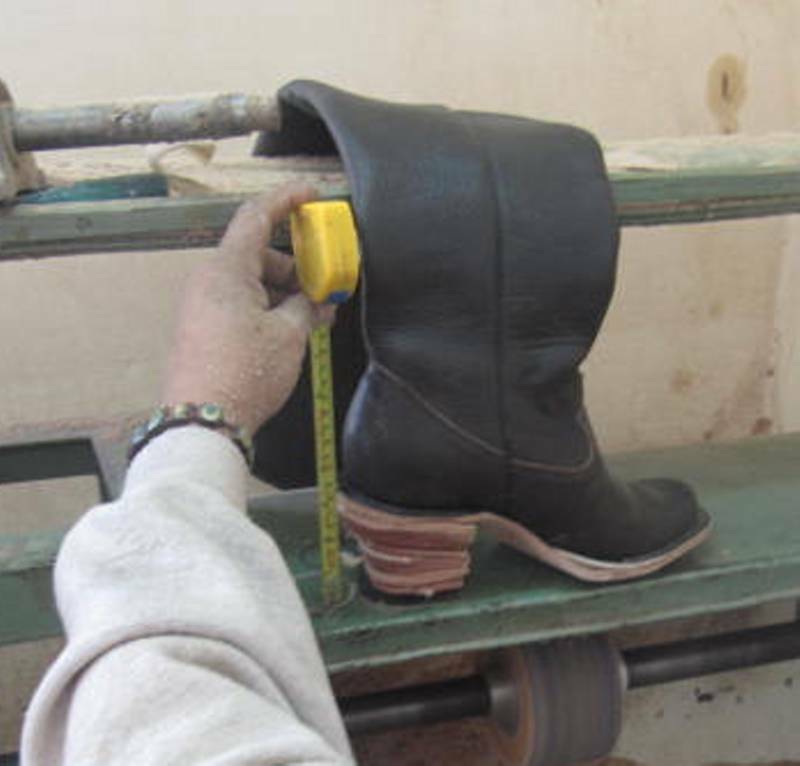 There are many, many steps to completing a custom-made boot. 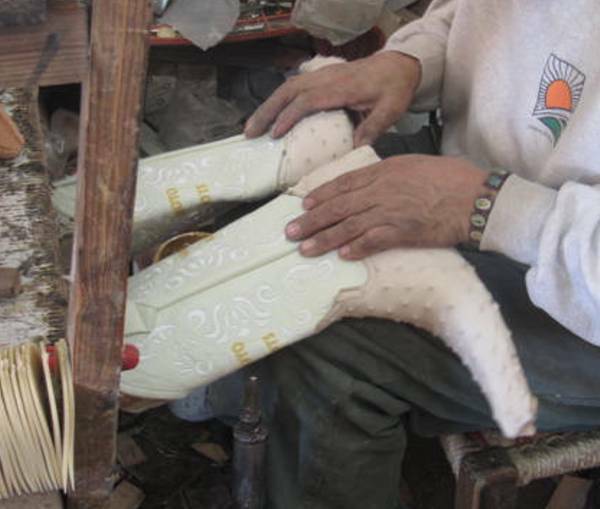 Some you can see when you hold a boot in your hand, others are hidden from view once a boot is finished and ready to wear. 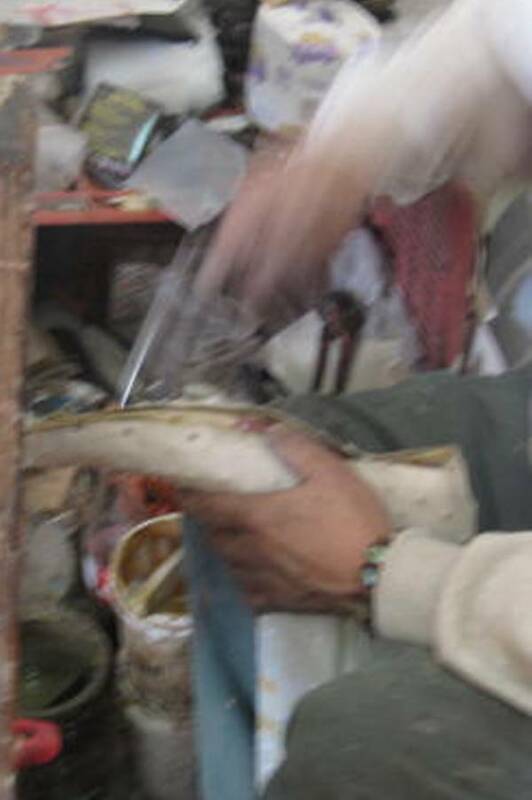 Below is a summary of steps necessary to make a boot ... click on any of the photos to get yourself a close-up view. 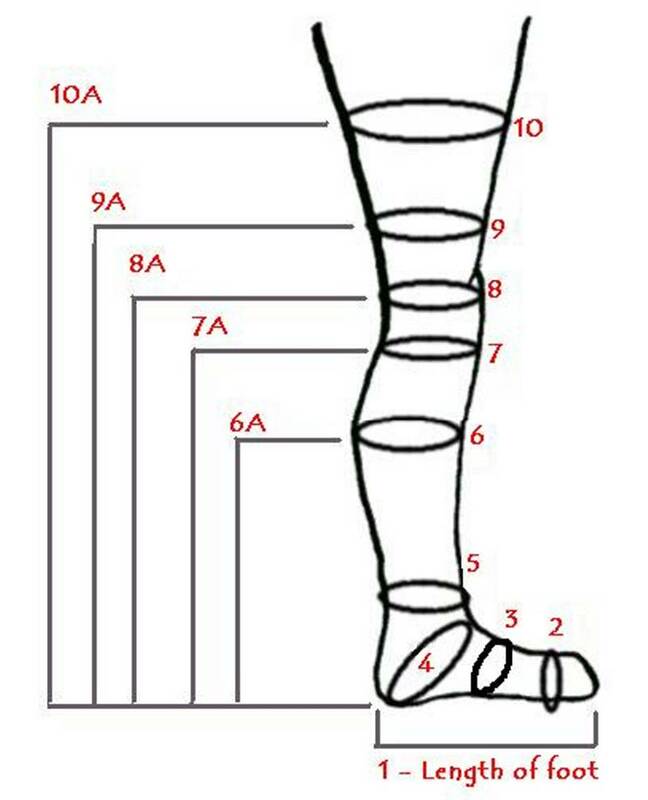 Foot, Calf and Leg Measurements based on the accurate measurements you have made and sent to us electronically. 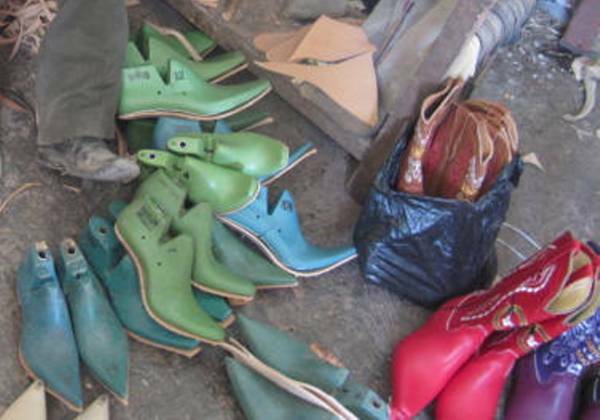 We select the leather, the toe and heel style & heel height and incorporate any design you desire for the boot tops. 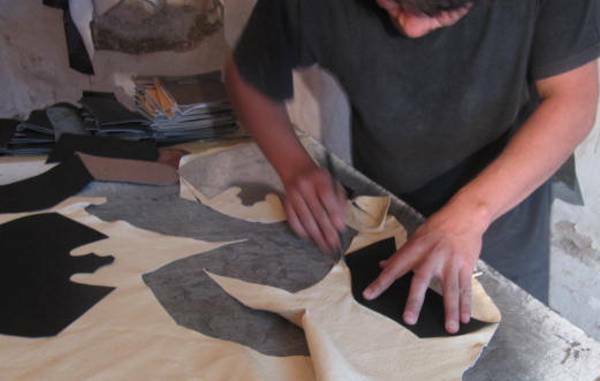 We prepare paper patterns and from these paper patterns, we cut the tops, lining, front and back stays, and pull-straps out of leather. 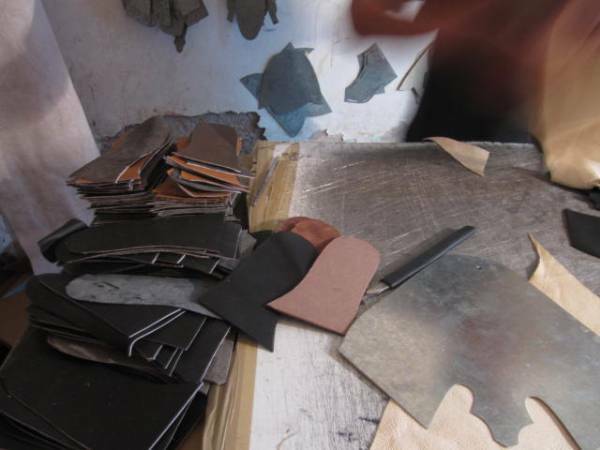 Then, we skive the appropriate edges of top pieces and we assemble the tops with cement, including beading. Next, we sew the tops and pull-straps with inlays, overlays, and stitch patterns. Stretch vamps and lining over crimpboards. Measure, trim and attach vamps and foot linings to tops. Sew counter and counter cover to top, trim. 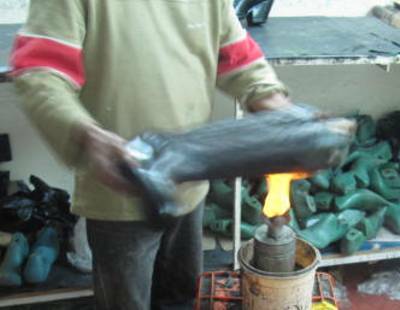 Put 'em on your feet ... and ENJOY! 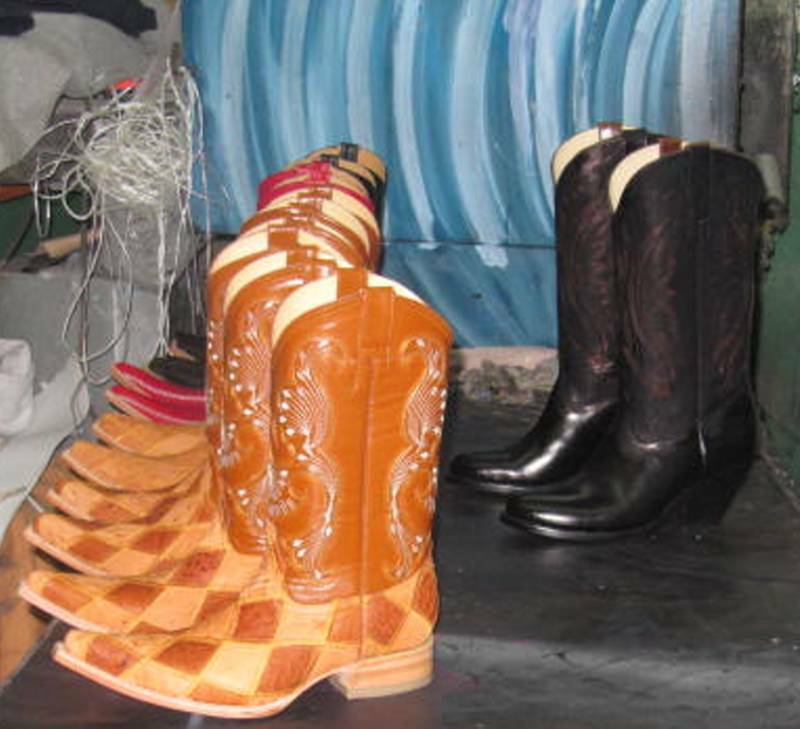 Click on the Boots link above, so we can start making yours!